Check the transfer status of numbers being ported. Cancel a current number transfer request. Under the Phone System menu, click Number Transfer Request. Click View to see details about a case. If you started the request before, click Continue in the Action column of the page. You are able to resume your number transfer request from the point you stopped. Review the onscreen instructions and the 8x8 Number Transfer Checklist to ensure you have all required information ready before you request a number transfer. Click Print Number Transfer Checklist to review and print the checklist for future use. When you have gathered all the required information, click Begin Number Transfer. Answer the questions on the Begin Number Transfer page. Note: The answer to the first question must be Yes, and the answer to the last question must be No in order for your requested transfer to go through. Once you answer all the questions, click Continue. Enter the number of service locations for the phone numbers. 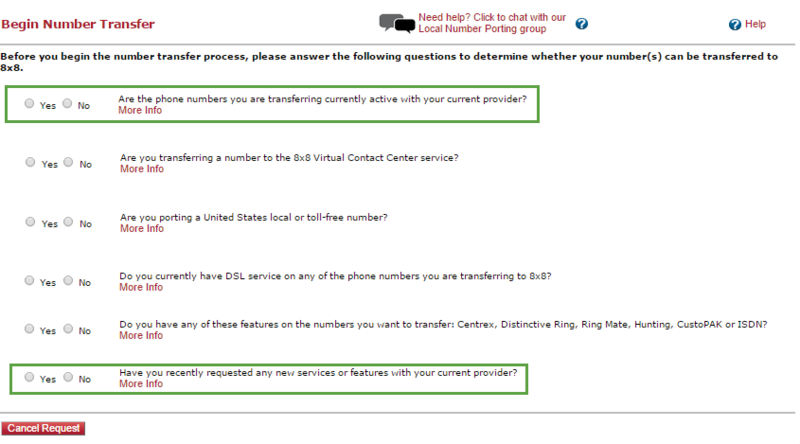 Enter the service address and service provider information for the number you want to transfer. Enter or cut and paste the numbers you want to transfer. Note: You must separate the numbers using commas, tabs, or line breaks. 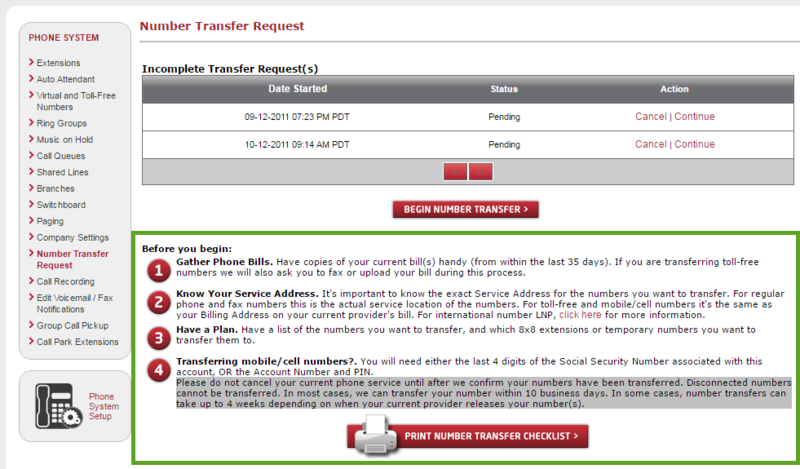 Click the drop-down arrow to select a temporary number for each of the numbers you are transferring. Use and to add and delete phone numbers. Review the information you provided to ensure it is correct. To edit any of the information, click Back. Review the Letter of Authorization carefully. We recommend you print it for your records using the button provided. If you agree to all terms in the letter, click I Agree. Note: You can select Save for Later after every step to complete the number transfer request later. To cancel a number transfer request, click Cancel in the Action column.